Behind the glitz and glamor of hit TV shows like Spartacus and The White Queen, teams of software developers at Starz Entertainment are working hard to create a seamless viewing experience. Located at the company's headquarters in suburban Denver, Colorado, Starz developers needed a way to ensure that content is delivered from the studio to TV, mobile, and web platforms, collaborating with business units to align major software releases with marketing and sales efforts. To meet the rigorous demands of an anytime, anywhere audience, Starz migrated its entire application lifecycle management (ALM) solution to Atlassian. With Atlassian, Starz has a single, integrated solution. Developers use Jira for issue tracking, Bamboo for build mechanisms, Fisheye and Crucible for code review, and an integrated Jira and Confluence for documentation. The team has implemented add-ons including Zephyr for Jira for test case management, Basalmiq and Gliffy for screen mockups, and Tempo for time tracking. "Atlassian has really enabled us to drive to a more agile process through our entire software development lifecycle, specifically around collaboration between the various teams and architecture development, QA, product development, and marketing,” says Mike Waldron, QA manager at Starz. One of Starz’ biggest development projects, internally known as Magnetar, prepares all content for broadcastas – from receiving the studios' physical tapes, to preparing the content, to broadcasting it out to all providers via all types of platforms. Magnetar demands heavy collaboration across technical and business teams, but by managing the entire process within Atlassian products, Starz keeps things lean and improves velocity with each sprint. With Atlassian, the cost and time savings were immediate. In its first year, Starz saved $100,000 on software tools alone after migrating to Jira. 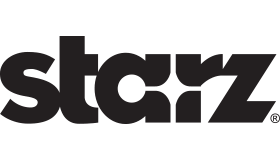 Last year, Starz saved more than $500,000 after implementing Tempo to manage time against projects. Perhaps more importantly, employees are able to work more efficiently. “Jira is very intuitive for the end user, and people pick it up fast,” says Andrew Morin, software configuration manager. According to Waldron, the Magnetar team is able to deploy major releases every three weeks; previously, it took about three months. "Magnetar is crucial to Starz operations," he says. "So from our customers' perspective, Atlassian helps Magnetar get them features quicker and allows us to receive and react to their feedback faster."